The Hopnel™ division of Big Bike Parts® introduces convenience in storage with their Saddlebag and Trunk Liners for the Can Am Spyder RT. The 850 Saddlebag Liner measures a generous 15” x 10 ¾” x 9 ¼” for the RT hard bag and are sold each. The all new 1100 Trunk Liner set is actually 2 bags stacked, to take advantage of the deep rear Spyder RT Trunk. The lower liner is great for storing on the bike maintenance items in its handy 10 ¾” x 7 ¼” x 7” size. The upper liner is great for travel packing in its 15 ¾” x 10” x 8” cavity, both neatly fitting into the Spyder RT Trunk. 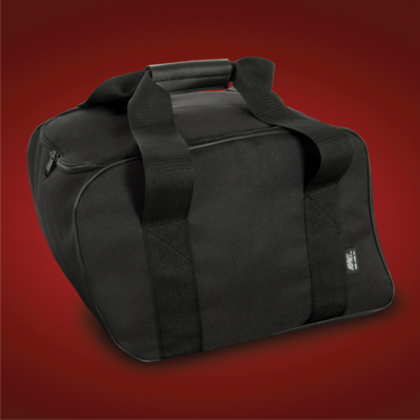 All Saddlebag and Trunk Liners by Hopnel™ have stitched easy to grab sturdy carry handles.